When you have an action-related injury, getting a quick assessment and treatment can make all the difference in your recovery. Our clinic is staffed by sports medicine physicians and offers fast treatment for common injuries and conditions such as concussions, minor dislocations, fractures and more. Sports physicals are also conveniently available at this clinic. 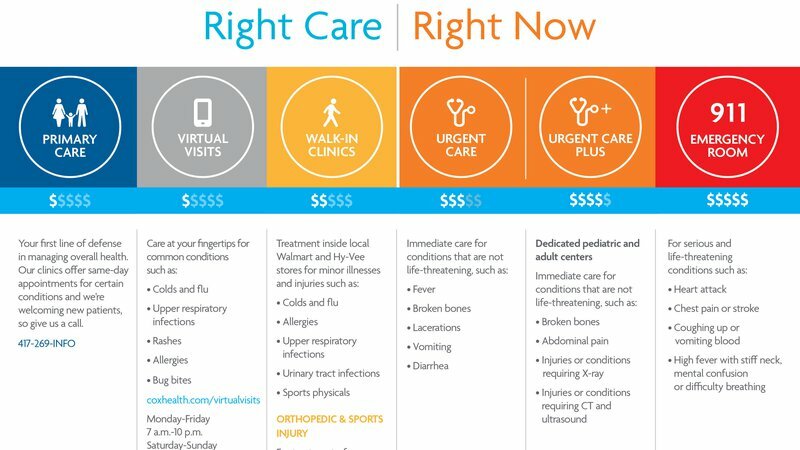 When you can't wait for an appointment with your health care provider, we're here for you with virtual visits, walk-in clinics, urgent care and emergency are. Not sure what level of care you need? Review this chart to help you decide.